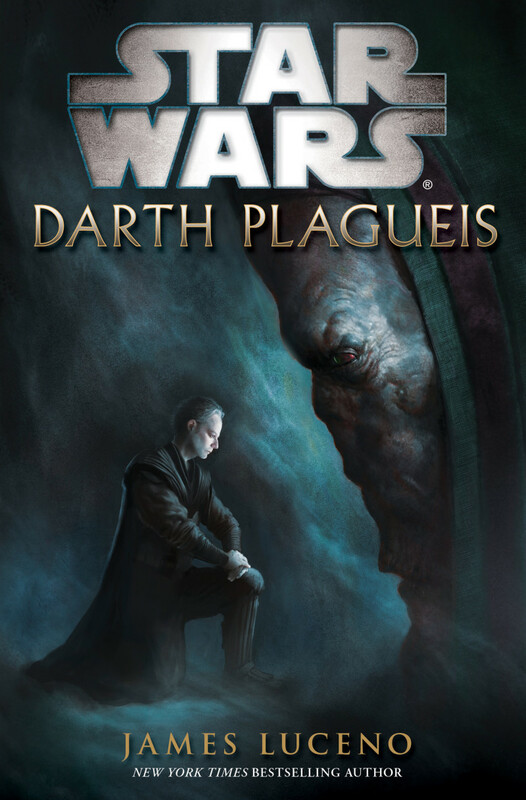 “Did you ever hear the ‘Tragedy of Darth Plageuis the Wise?’” Palpatine asked Anakin in a probing manner. He was trying to be discreet and sound innocent. He was searching for an opening to reveal his secret, but at the same time, and like all other times before he was planting a seed. This seed was an idea, an alternate choice that could one day lead to another path to follow. He wanted Anakin to “keep his mind open to all possibilities,” and not stick to “the close-minded dogma of the Jedi.” In relating the tale to Anakin, Darth Sidious briefly highlights the story with only a few sentences. And only then, alludes to the fact that Plageuis might have been his master. Like Anakin, the audience of Episode III: Revenge of the Sith had many questions still buzzing around in their heads. Questions like: was Darth Sidious the student? How did Plageuis discover this secret of the dark side? Why was it him that discovered it? Why was he not able to save himself? For the more discerning and inquisitive individual, these questions floated about begging for an answer. 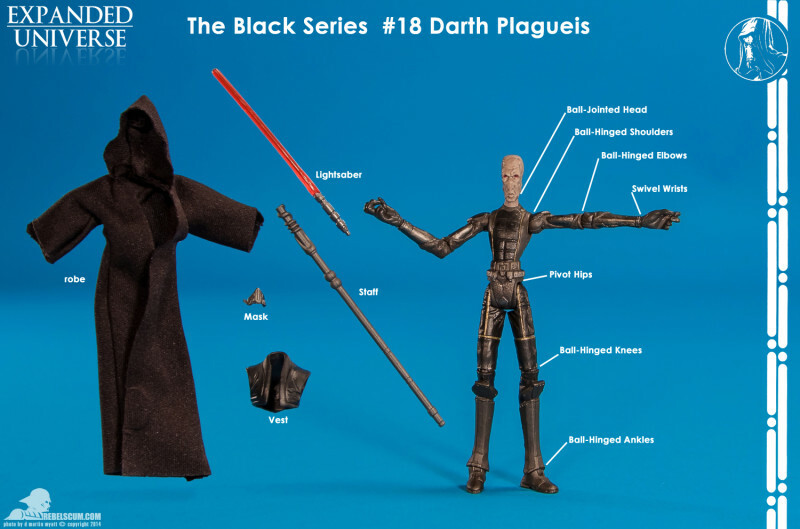 Who was Darth Plageuis? What was his life like? How did Darth Sidious know about Darth Plageuis’ tale, if he wasn’t the student? This book answers those burning questions in 463 pages. It begins 67 years before the Battle of Yavin (BBY), or before Episode IV: A New Hope. The story begins with Darth Plageuis as an apprentice to his master Darth Tennebrous. They are exploring a cave on a newly discovered planet. It is on this occasion that Plageuis’ patience runs out. 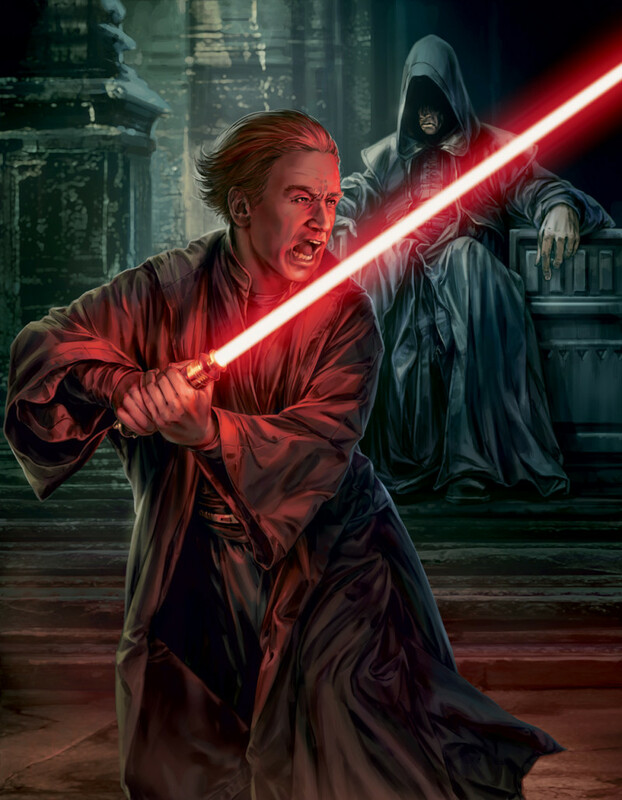 Following one of the tenants of the Sith, which states that while coveting the power the master wields, the apprentice should at some point rise up and attempt to take that power from the master. He sees an opportunity to seize power for himself. He succeeds after a struggle, but it comes at a high price. Severely injured he stumbles out and makes his way to a spaceport where he finds a suitable ship to take him off the world. While on the ship he is patched up by a droid displaying more potential than his use on the freighter. He takes the droid into his services after killing the crew and disposing of the ship. From there, he and the droid begin a long research project. This project involves exploring the force and force-sensitive creatures’ interactions with it. The purpose of this is to try to find the answer to the age old question; how does one cheat death? Since the dark side of the Force is a shadowy realm of untapped potential. It bestows upon the dedicated practitioner new and different abilities that would seem supernatural to the untrained eye. While exploring this question, Plageuis happens upon a young human who has experienced a liberating tragedy. With an unusually deep well of latent Force potential and possessing a keen political acumen, Plageuis quickly befriends this youthful rebel. He invites this instigator, whom he soon learns goes by the name of Palpatine, into an exclusive club. Plageuis convinces Palpatine to become his student and together they begin to execute his master plan. The plan consisted of the one main goal of the Sith: Take revenge on the Jedi Order by stamping out their existence, and topple the Old Republic. The second was of the more personal kind: find a way to cheat death and become immortal. Will they succeed? Will Darth Plageuis find the answer to one of the mysteries of the dark side of the Force? Darth Plageuis is written by long time author James Lucino. This is not his first foray into the Star Wars universe. He has written such excellent titles such as: Cloak of Deception, Dark Lord: The Rise of Darth Vader, and Labyrinth of Evil. These books are part of the Clone Wars era though he has written some of the volumes in the New Jedi Order series and some stand-alone books, like Millennium Falcon, as well. In fact, James Lucino has been writing Science Fiction since the early 1980’s. He wrote the novelizations of the lengthy Robotech series for example. He was one-half of the team writing under the pen name of Jack McKinney. The author’s writing style is easy to grasp and understand. He is, perhaps a bit more verbose than John Jackson Miller and Timothy Zahn, but not so much as to be over-done. He has a firm grasp on the concepts of this beloved universe and demonstrates this through the characters’ conversations and actions. In one scene Palpatine remembers a dialogue with his master Darth Plageuis. He has been assigned a task and the parting words of his Master hung in his memory like a specter. Remember why the Sith are more powerful than the Jedi, Sidious: because we are not afraid to feel. We embrace the spectrum of emotions, from the heights of transcendent joy to the depths of hatred and despair. Fearless, we welcome whatever paths the dark side sets us on, and whatever destiny it lays out for us.” He ponders this for a moment then set about completing the task with little regret while embracing the dark side of the Force. Clearly, the author shows the audience he can perceive the thoughts of the characters and has an understanding of the way the force works in terms of the character’s perception. He is able to develop existing characters along a logical timeline. With new characters, he is able to shape them into three-dimensional objects. In Plageuis, we see a being scheming and manipulating events, but he is not evil in the classic, corny sense. He wants to bring about peace but realizes obstacles standing in his way must be brought down. He sees the Jedi as children playing with fire and corrupt by mere association with the Republic by way of doing nothing to stem the tide of the growing disease they claim to protect against. Palpatine is a bit more reckless in this book than he is in the movies, but that is attributed to youth. He remains just as cunning and subtle as he was in Episodes I through III. These characters are written so well, one could almost see them spring to life like the ghostly, blue holograms on the open pages of the book. Perhaps second only to Timothy Zahn does his storytelling style seem to unfold and transport the reader into a blackened theater to watch the events blast their way across the big screen as if watching a new episode of the Star Wars saga. The cover art is reminiscent of the scene in Empire Strikes Back when Darth Vader contacts The Emperor for the first time. Vader kneels down and the Emperor’s holographic head is projected to gigantic proportions. Here, a very young Darth Sidious is kneeling before the head. He is dressed as what one could assume is attire native to Naboo of that era. Darth Plageuis’ head looms in front of and slightly above Sidious. It is not a hologram though and one can see a look of grim satisfaction on the aged Muun’s face that is visible under the black hood. It is a very simple design but one which carries significant meaning. Time is running short for the Jedi as the Sith are about to make their move. They will unleash the Grand Plan and soon emerge from the Shadows of history. Plageuis and Sidious make a great team, but one tenant may prove too powerful. 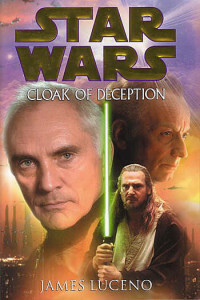 This is a must read book in the Star Wars saga. If one likes action, intrigue, drama, betrayal, then dive in and enjoy! 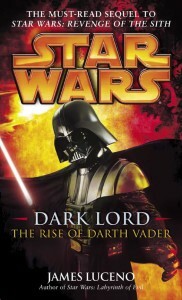 If one has a slight curiosity about the dark side of the Force, that person should definitely read this, but beware! The dark side is a very alluring path!